MetalFlakey that is. 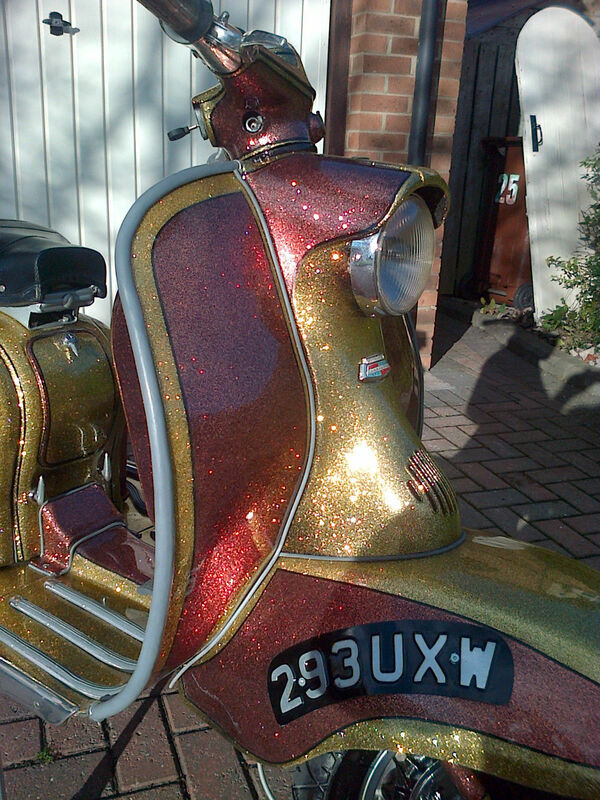 I think this is what you’d call a ‘real bobby dazzler’ gold and copper metalflake on S1 Framebreather. Spotted this on beauty on eBay… it’s in just finished condition and got a Stage 4, 200cc engine in, so the performance won’t be a let down. 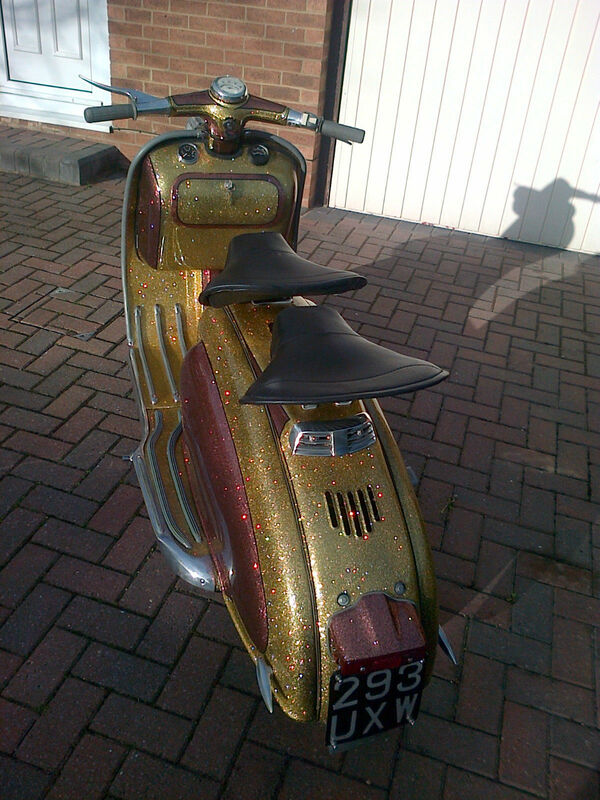 I know this is a late 50’s scoot… but for me, it’s got a bit of a 70’s vibe about it. In a good way. 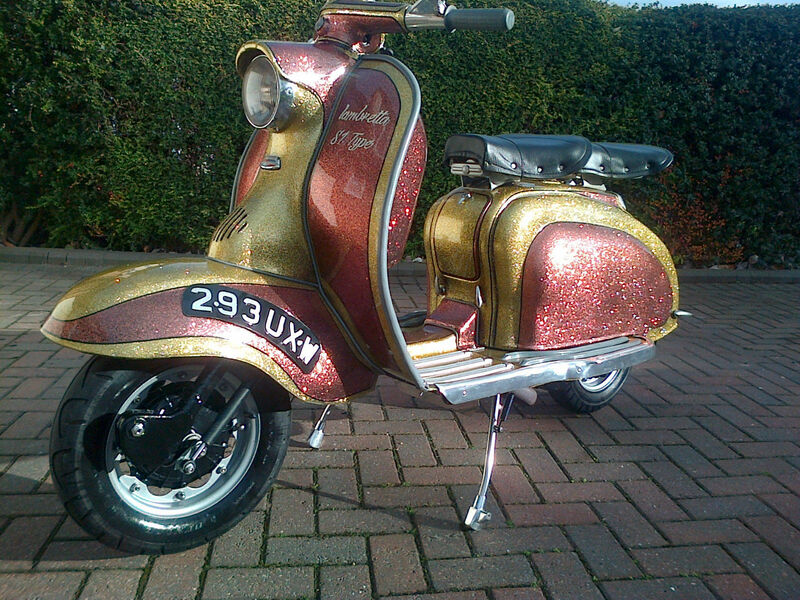 If Brian Connolly rode a Lammy, it would look like this. 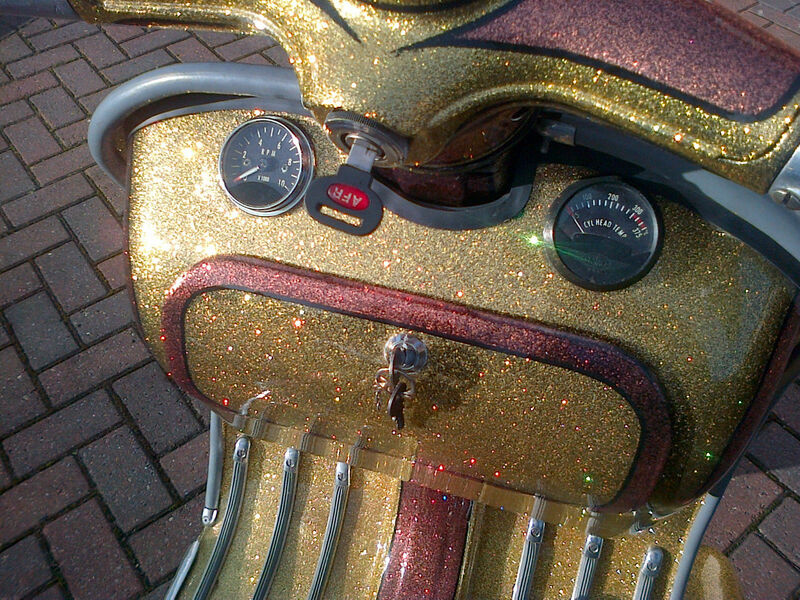 A Sweet ride. You like? Buy it on eBay here. Go on, treat yourself. 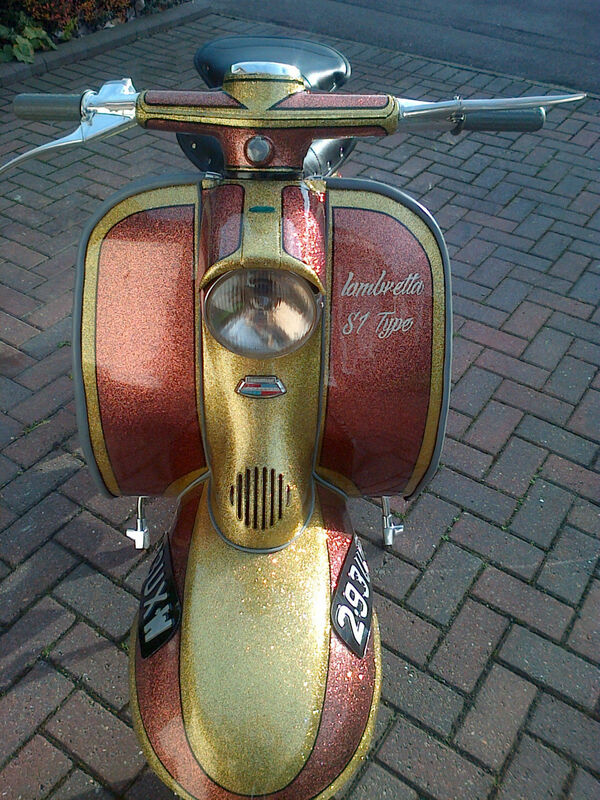 This entry was posted in For Sale, Lambretta Imagery and tagged Ballroom Blitz, For Sale, Framebreather, metalflake, Series 1, The Sweet by crocodilejock. Bookmark the permalink.